Established in March 2006 as a government-owned organisation, Abu Dhabi Ports is the master developer, operator and manager of ten ports including Khalifa Port, Zayed Port, Musaffah Port & Musaffah Channel, as well as its trade and logistics hub Khalifa Industrial Zone Abu Dhabi (Kizad), with the utmost efficiency and optimisation. Khalifa Port was officially inaugurated on 12.12.12 by President His Highness Sheikh Khalifa bin Zayed Al Nahyan. Located halfway between Abu Dhabi and Dubai, the port is the first semi-automated container port in the GCC region. It handles all of Abu Dhabi’s container traffic, general cargo, and Roll-on and Roll-off (RoRo) cargo. Khalifa Port features state-of-the-art maritime infrastructure, including nine of the world’s largest ship-to-shore quay cranes, 42 automated stacking cranes and 28 straddle carriers. In its current development phase one, Khalifa Port can handle an annual capacity of 2.5 million TEU containers and 12 million tonnes of general cargo. The port is being developed in stages as industry demand grows. When all development phases are completed, Khalifa Port is expected to increase its capacity for container volumes to 15 million TEUs and 35 million tonnes of general cargo per year. 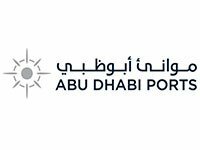 Abu Dhabi Ports plays a key role linking the region to global markets and facilitating the diversification of the Emirate’s economy by enabling economic development and the movement of goods, equipment and materials. Through seamless integration and robust connections, Abu Dhabi Ports offers exceptional services and innovative business solutions over a vast expanse of sea and hinterland, pioneering best practices without fail. Bahri, a global leader transportation and logistics, is at the forefront of revolutionizing the global maritime commerce, providing diverse and innovative services that include transportation of crude oil, oil products, chemicals, bulk, and general cargo through its six business units, namely Bahri Oil, Bahri Logistics, Bahri Chemicals, Bahri Dry Bulk, Bahri Ship Management, and Bahri Data. Founded in 1978 and headquartered in Riyadh, the company has around 3,000 dedicated employees across its global network of offices in Saudi Arabia, UAE, USA, and India, and has a vast network of agents across the Middle East, Africa, USA, Europe, and Asia. 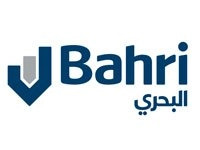 Bahri, the largest owner and operator of Very Large Crude-oil Carriers (VLCCs) in the world and the largest owner and operator of chemical tankers in the Middle East, owns and operates an impressive fleet of 93 vessels, including 46 VLCCs, 36 chemical tankers, six multipurpose vessels, and five dry bulk carriers. 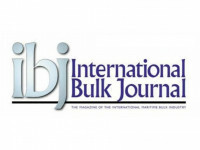 The company joined hands with Bolloré, one of the largest transport and logistics operators in the world, to form BahriBolloré Logistics, and with the global agribusiness and food company, Koninklijke Bunge B.V., to launch BahriBunge Dry Bulk Ltd. Bahri also opened new international offices in Houston and Mumbai and added Alexandria as the company’s third direct port call in Egypt after Suez and Port Said. In addition, the company signed a joint venture agreement with Saudi Aramco, Lamprell plc, and Hyundai Heavy Industries to build a world-class maritime yard in Ras Al-Khair Industrial City in KSA. Bahri believes that success starts with customer satisfaction, and therefore, customers are at the heart of everything the company does. With a history spanning three centuries and a register boasting over 20% of the world’s merchant fleet, ClassNK has long been recognized as the global leader in ship classification. 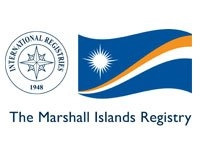 Dedicated to ensuring the safety of life and property at sea and protecting the marine environment, its diverse portfolio includes the survey and classification of ships and marine structures, software solutions, management system certification, and award-winning training programs. Since establishing its Dubai Office some 40 years ago, ClassNK’s presence within the Middle East has expanded considerably and the strength of the region’s maritime industry has been fundamental to this success. 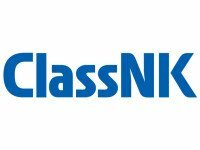 ClassNK’s unwavering commitment to delivering best-in-class services 24/7 through its global network of 130 survey offices has seen its register swell to over 240 million gross tons. As a non-profit organization, ClassNK also acts as a core pillar that supports the advancement of the maritime industry. 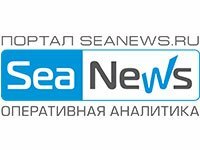 Promoting high-quality education, training and R&D in collaboration with government, industry and academic bodies, ClassNK is devoted to securing a brighter future for the global maritime community. We have a portfolio of 70 terminals in 31 countries across six continents with a significant presence in both high-growth and mature markets. We aim to be essential to the bright future of global trade, ensuring everything we do has a long-lasting positive impact on economies and society. 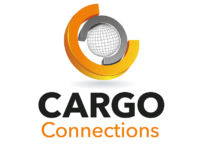 Our dedicated team of over 36,000 employees cultivates long-standing relationships with governments, shipping lines, importers and exporters, communities, and many other important constituents of the global supply chain, to add value and provide quality services today and tomorrow. Container handling is the company’s core business and generates more than three quarters of its revenue. 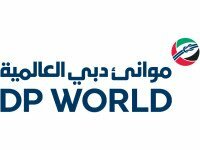 In 2015, DP World handled 61.7 million TEU (twenty-foot equivalent units) across its portfolio. With its committed pipeline of developments and expansions, capacity is expected to rise to more than 100 million TEU by 2020, in line with market demand. Driven by our purpose of safeguarding life, property and the environment, DNV GL enables organizations to advance the safety and sustainability of their business. Operating in more than 100 countries, our 15,000 professionals are dedicated to helping our customers in the maritime, oil & gas, energy and other industries to make the world safer, smarter and greener. 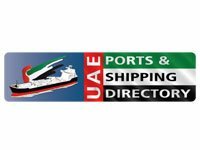 Over the past 35 years Drydocks World-Dubai has become a leading provider of marine and offshore services to the shipping, oil, gas and energy sectors. Conceived as an ambitious project under the guidance of H.H. Sheikh Rashid Bin Saeed Al Maktoum the late Ruler of Dubai, the yard is strategically located in a rapidly developing region of the world. Drydocks World maintains high HSEQ and operational excellence standards, utilizing the yards world-class infrastructure to exceed the expectations of clients. The dedicated workforce and state-of-the- art-facilities at Drydocks World on average complete over 300 projects per year, with a record of handling 42 refurbishment projects simultaneously. The yard is spread over 200 hectares, 4 dry docks, with the largest dock capable of handling the world’s largest ship, and over 3,700m of berth space. Innovative projects for key global players have been constructed in Drydocks World, breaking records for some of the largest new build offshore fabrication projects worldwide. 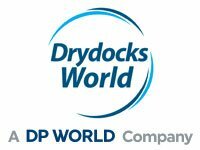 In recognition of our excellent services and world-first projects, Drydocks World has received numerous awards and accolades including consecutively winning the prestigious Mohammed Bin Rashid Al Maktoum Business Award 2015 in the manufacturing category, which is the highest level of national recognition for business performance excellence in the UAE. In addition, Drydocks World has been honored with a prestigious “5 Star” rating from the British Safety Council for the past 14 years and the BSC “Sword of Honor” on 11 occasions. The yard has been recognized at the Offshore Jack-up’s Middle East 2017 Awards as the Rig Repair Yard of the Year, and as the Shipyard of the Year at the 2017 Maritime Standard Awards. Drydocks World has achieved significant recognition for the accomplishments of the organization, and looking forward the business aims to achieve further success for the UAE’s maritime industry, positioning Drydocks World as an international yard of choice. 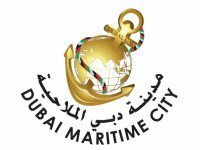 Dubai Maritime City is a multi-purpose built maritime centre that will create an exclusive atmosphere for the international marine & maritime community, divided into two precinct: industrial and commercial. Industrial Precinct: As the sole specialized marine & maritime cluster in the region, DMC has managed to develop a well established industrial precinct that covers all marine & maritime industry needs under one umbrella; ship repair, ship owners, technical expertise and marine suppliers. It also provides entire infrastructure that includes offices, workshops, warehouses, showrooms, shops, yacht manufacturing and ship repair plots. Commercial Precinct: DMC offers mix use freehold plots that are intended to be developed to consist of retail, residential & office towers and promenade. Essar Ports specializes in development and operations of Ports and Terminals for handling dry bulk, break bulk, liquid and general cargo. 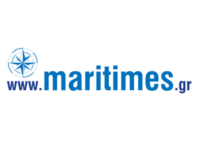 It is one of the largest private sector port companies in India by capacity and throughput. It has four 1 operational terminals in India across Hazira and Salaya (all in the state of Gujarat) on the west coast, and one each in Visakhapatnam and Paradip on the east coast. Overseas Port assets of Essar include one each in the UK and Canada. The port terminal in UK is integrated with the Essar Oil UK refinery in Stanlow, Manchester, while the Canadian Port is integrated with Algoma Steel Plant in Ontario. Current operational Port Terminal capacity in India is 95 MMTPA and the same is expected to reach 110 MMTPA. The Hazira port terminal in Gujarat is an all-weather, deep-draft port terminal capable of handling dry bulk, liquid and break bulk cargo. The Paradip dry bulk terminal is an all-weather, deep-draft facility integrated Essar Steel Pellet Plant and handles dry bulk cargo. The Vizag terminal caters to the iron ore traffic and handles both domestic and export shipments. 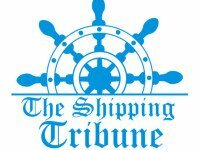 The Company’s newly commissioned dry bulk terminal at Salaya has increased its dry bulk cargo handling capacity by 20 MMTPA on the west coast of India. The new capacity will be added through the expansion of the Hazira Port Terminal and other Projects in pipeline. 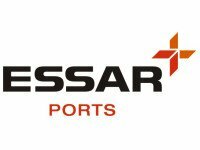 Essar has also recently signed a concession for development of 20 MMTPA dry bulk (coal) terminal in Beira Port with Government of Mozambique. Essar positively impacts the lives of all stakeholders including employees and the communities living close to its facilities. Community initiatives aim to enhance livelihoods through programs focused on entrepreneurship, education, empowering women, infrastructure, environment and health. It sees involving community leaders as key to success. Essar has transformed the neighboring areas of its operations by planting thousands of trees and laying water pipelines. Essar generates direct and indirect employment for thousands of people in the region it operates. Formed in 2004 as a Joint Venture shipping company, Gulf Energy Maritime (GEM) owns and manages modern state-of-the-art double hull tankers designed to carry petroleum products, chemicals and other hydrocarbons. GEM's growth perspective is a long term strategic one. Majority of its vessels are expected to be fixed in a mixed portfolio of long-term and spot charters. Today, Gulf Energy Maritime (GEM) is a leading, independent Product/Chemical Tanker company which provides Marine Transportation for the energy markets across the world. We own and manage 19 vessels spread across different vessel classes i.e. 2 LR2, 8 modern LR1 and 9 chemical and product tankers. GEM's primary objective is to operate with high standards of safety and quality in its operations and management. Our consistent track record in this area sets us apart from other industry participants and lets us maintain a preferred position in the maritime industry. 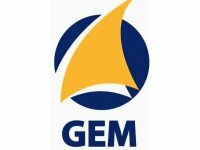 Over the years GEM has won numbers of prestigious awards i.e. 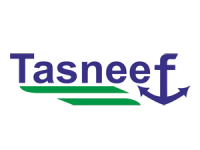 Tanker Operator (ME & Indian Sub-Continent) of the Year 2012, Ship Owner / Operator of the Year 2011 and Safety & Quality Award (ME & Indian Sub-Continent) for 3 consecutive Years 2008, 2009 & 2010. GEM has ISO 9001-2008 QMS and ISO 14001-2004 EMS certification. Furthermore, the company also actively participates in the Tanker Management Self-Assessment (TMSA) program as required by the Oil Companies International Marine Forum (OCIMF). 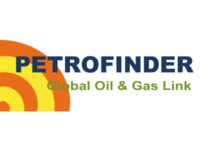 Our well maintained fleet and commitment to high quality, incident-free service positions us as a preferred service provider with major oil companies, refiners and traders throughout the world. The idea of establishing Islamic P&I Club (IPIC) as a mutual and non-profit organization was proposed and approved by the Organization of the Islamic Shipowners’ Association, affiliated institution to the Organization of the Islamic Cooperation. The achievement was adopted by the 10 th OIC Summit held in Putrajaya, Malaysia in October 2003 and Summit following the RESOLUTION No.35/10-E(IS). As per kind auspicious of the Government of Dubai, IPIC headquarters officially established is in Dubai without the need for sponsorship in 2004. In order to have better access to the clients either potentials or current members, IPIC organized a second management office in Jakarta in 2009 while Istanbul and Cairo are in IPIC’s future plans, the Athens rep. Office is becoming the club’s pathway into European markets. IPIC provide the most comprehensive and tailor-made covers to its members for protecting their third party legal liabilities and expenses out of the vessel’s operation up to the limit of liability USD 1 Billion as well as FD&D, Charterers’ Liability, Loss of Hire, War Risk, H&M and K&R through its associate companies. Risks are reinsured through a syndicate of prominent international reinsurance companies to secure the member’s needs in a proper manner. 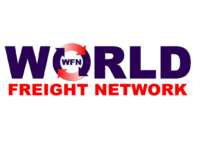 While the Club have strong links to correspondents supported by a worldwide network of more than 485 independent firms and consultants as well as surveyors, is able to render immediate assistance to the members via its local expertise located in 120 countries and 425 ports, without any delay. Kuwait Oil Tankers Company (KOTC) was incorporated in 1957 by a group of pioneers who had a vision on the importance of oil as a main source of energy. In confirmation of the vision and insight of those pioneers, they decided to acquire an oil tanker. The first tanker” KAZIMAH” was acquired with an aggregate load of 49,000 tons. Over time, oil became of a great importance and the international demand for oil substantially increased. Hence, transporting oil in its crude, refined and liquefied gas forms became necessary. Accordingly, the fleet of KOTC has been upgraded. Following the incorporation of Kuwait Petroleum Corporation (KPC) in 1980, KOTC became responsible of the sector of transporting the crude oil, refined oil products and the Liquefied petroleum gas. In addition, KOTC also operates the Marine Agency Branch which is the sole agent for all the tankers calling at the Kuwaiti sea ports. KOTC also has an LPG Filling Branches in Shuaiba & Umm Al-Aish that fill liquefied gas cylinders and distributed them in all regions of Kuwait. KOTC owns a distinguished fleet of Ships that consists of 28 tankers, divided between 12 Very Large Crude Oil tankers, 12 different petroleum products tankers of various sizes, and 4 gigantic gas tankers. The total cargo of the fleet is 4,7 million metric tons, which is the equivalent of 339,387 million oil barrels, and the average age of the fleet is 7 years. The company was keen to modernize its fleet through building tankers that comply with the latest international designs and that have the latest technical and technological features. 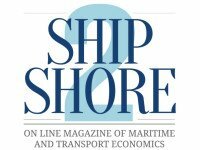 In addition to that, the new company>s tankers are considered to be an example of the environmental friendly tankers, as they are equipped with systems to limit gas admissions from the oil cargo as a result of temperature variation and the change of weather while sailing from one port to another. Marine Agency branch was established in 1959 and it is one of the subsidiaries of KOTC, which is in turn a subsidiary of KPC. It is also the only agency that provides services to all the tankers in the territorial waters and Kuwaiti ports. 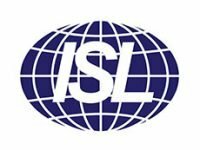 The Marine Agency branch has obtained ISO14001:2004 and ISO 9001:2008 and these International Standards are renewed according to the required terms and specifications related to health, safety, and environmental issues. The Marine Agency branch provides services for more than 1,400 tankers that visit Kuwaiti ports every year. The Marine Agency branch is divided into 3 main departments that include several sections which cooperate to provide services for all tankers that visit Kuwaiti ports, in addition to providing services for the company>s crew members. In 1960 the company was granted the right to market and distribute the Liquefied Petroleum Gas (LPG) in local market as an alternative to other types of domestic fuels. In January 1962, the First Gas Filling Plant was constructed and put into operation at Shuwaikh Industrial Area with production capacity of about one million cylinders (12 kg)per year. However, with the increase in the population, it became necessary to increase production capacity to meet local market consumption. Authorities to allocate a land at the north side of the country in order to serve the urban expansion of residential areas at the north of Kuwait. 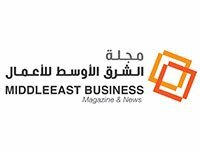 The state authority granted the company a land in Umm Al-Aish Area. 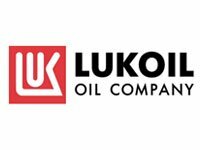 Consequently, the company has signed a contract with international contractor in late 2010, to design & build a new LPG Filling Plant. In early 2015, the new plant in Umm Al-Aish area has entered into service with idle production capacity of 14.5 million Cyl./year. with such production capacities using the state-of-the-art- technologies of both plants, the market demand will satisfied till year 2030.
consumers in state of Kuwait. 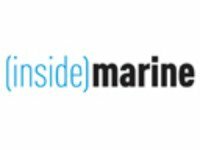 Mercmarine Group Of companies – represents 5 interlinked sectors in Ship Owning, Ship Management, Crew Management, Maritime Training and Agency functions. Company was established in 1917 in Bremen, Germany while the Sri Lankan operations started in 1981, expanding group’s geographical presence. Over the past few decades, each sector of the group has grown steadily making an exponential contribution to the maritime industry. Group’s corporate culture is strongly woven around “Passion”, and the professionalism of the company has helped MERCMARINE to form and nurture long term business relationships successfully with valued Principals world over. First class services in Crew Management, Maritime Training and Ship Management are the flagship functions within MERCMARINE and the lean company culture has helped them offer fast, cost effective, and customized solutions propelling its clients to success. Group’s Crew Management sector currently stands out as the largest Crew Management Company in Sri Lanka and plays a pivotal role as a preferred crewing solutions partner for ship-owners, world over. Mr. Thomas Kriwat, A lawyer is the CEO while Captain Rohan Codipilly is the COO of the group. At Qatar navigation (Q.S.C) known as Milaha, we understand that economic progress depends on the smooth flow of trade around the world. Through our diverse activities, we provide perfectly synchronised maritime and logistics solutions – simplifying the complex links in the international chain of trade. 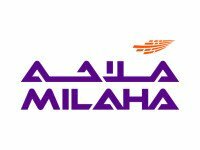 Milaha has become a large, diversified holding company with interests in various maritime sectors and logistics. Yet as diverse as the company has become, it has always maintained unity and synergy with every part working together for the good of the whole sharing the same values and ethics. The company has since 1975 evolved, expanded and diversified into maritime transportation in gas, petroleum products, containers and bulk; offshore support services; port management; logistics services; shipyard; trading agencies; real estate; and asset management. 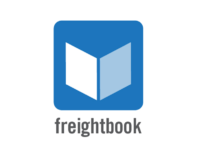 For over half a century, we’ve been building on our strong regional foothold in transportation and logistics. Today, with an expanding fleet, state-of-the art equipment, well-trained manpower, world-class partners and strong maintenance & asset management base, we’re competing to become a globally recognised player in maritime and logistics services. Milaha owns 100% of Qatar Shipping (Q-Ship) as well as Halul Offshore Services Company one of the largest companies in the region in the provision of offshore marine services to the oil and gas sector. 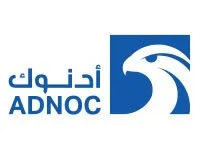 The company also owns 50% of Qatar Quarries and Building Materials Company, a 30% stake in Qatar Gas Transport Company (Nakilat), and owns 50% of Gulf LPG, with other smaller stakes in a number of other associated companies. 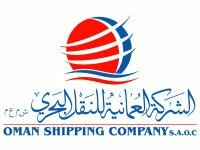 Oman Shipping Company S.A.O.C. 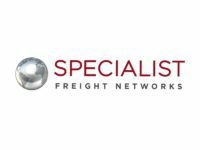 (OSC) is a closed joint stock national shipping company that was established in 2003 as the logistics pillar in the supply chain initially linking energy export hubs in the Sultanate with markets across the globe. Over the years, OSC has evolved into a well-diversified ocean-going shipping fleet equipped to handle a wide range of commodities, notably crude oil, LNG, LPG, refined petroleum fuels, chemicals, minerals and even containers. Today, OSC operates a fleet of around 49 ships of a total tonnage aggregating 8 million DWT approximately. 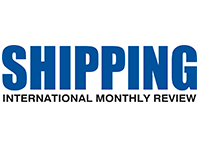 Complementing its offerings as an integrated maritime shipping services provider are its subsidiaries, namely Oman Ship Management Company (OSMC), Oman Charter Company (OCC), and Oman Container Line (OCL). OSMC, which is ISO 9001:2015 and ISO 14001 certified for internationally recognized best practices in ship management standards, currently manages 42 ships, encompassing full technical management of owned and third-party vessels. 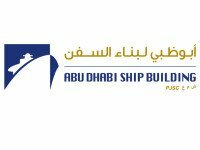 In March 2013, Abu Dhabi Ports took over the management of Marine Services and their operations in Zayed Port and established ‘Abu Dhabi Marine Services’ – a new and independent, 100% wholly-owned subsidiary. With rapid growth and remarkable achievements, Abu Dhabi Marine Services ‘Safeen’ expanded the area of operations to additional ports such as Khalifa Port, Musaffa Port and the ports of the Western Region. At the end of the year 2015, Abu Dhabi Marine Services has recorded over 7,000 Piloted Jobs, 17,000 man-hours and over 50,000 vessel moves, safely conducted within the year. Boasting a team of experienced pilots who provide a 24 hour service seven days a week across the Emirate’s ports and beyond, Abu Dhabi Marine Services ‘Safeen’ offers high quality, cost effective services such as vessel traffic services, pilotage, harbour towage, mooring, bunkering, as well as waste disposal. Abu Dhabi Marine Services ‘Safeen’ maintains all of the aid-to-navigation buoys and beacons along the coastline and waterways, ensuring the safe and efficient movement of vessels around the Emirate. 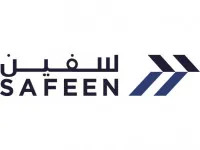 In addition, Abu Dhabi Marine Services ‘Safeen’ operates a modern fleet, uses the latest port equipment and conducts ongoing training programmes to deliver both traditional marine services and a wide range of add-on services. As part of Emiratisation Programme under the new management, Abu Dhabi Marine Services ‘Safeen’ successfully established the first ever, all-Emirati Marine Services Team in 2014. 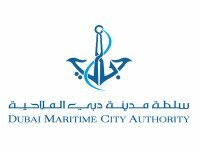 Abu Dhabi Marine Services ‘Safeen’ is approved by Federal Transport Authority (FTA) to provide IALA world-wide Aid-to-Navigation (AtoN) level -2 Services and comply with the national and international requirements as per guidelines of DoT, FTA, IMO & GCC Codes. 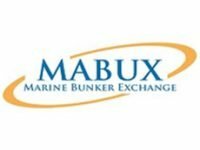 Seabourne International is one of the region’s leading maritime and offshore service providers and system integrators focussing on engineering, construction and offshore operations. The company can offer innovative solutions for all types of jack-up units, rigs, production platforms and support vessels. Established in France in 2006 as a representative to a handful of European manufacturers, the company today conducts business in 6 countries across three continents and represents over 15 leading brands. 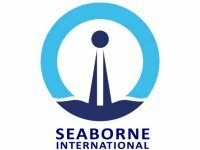 The main aim of Seaborne International is to be a one-stop-shop marine and offshore solutions provider and ensure its customer's requirements are complied with, in both technical and commercial terms. By building close, long-term relationships, the company aims to deliver predictable, sustainable and profitable growth. This can be achieved by developing a robust strategy, strong management and leading operational performance. Seaborne’s business model is structured around a risk based assessment of opportunities to meet the demand for fabrication, engineering and contracting services in the offshore and onshore oil and gas and renewable energy sectors. It promises to deliver smart, innovative and integrated solutions to the maritime and offshore industry and create added value to meet end-user requirements. 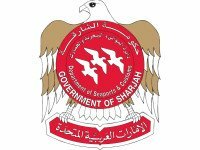 Sharjah Ports Authority manages the three commercial ports of Sharjah the only Emirate that has ports in both coasts of UAE. Port Khalid located in the heart of Sharjah city is a multipurpose port of 21 berths handling container, break bulk, ro-ro, project and bulk products. Hamriyah Port is located 15km north of Port Khalid on the Arabian Gulf adjoining the Hamriyah Free Zone which is one of the fastest growing economic zones in UAE and home to over 5000 companies. The port is also a multipurpose port and key gateway for Hamriyah Free Zone investors and industry located in the northern Emirates. The facility which has a quay of 1100 meters with a depth of 14 meters, an LPG and a petroleum product terminal. Khorfakkan Port strategically located on the Gulf of Oman coast outside the sensitive Strait of Hormuz is a jewel in the crown of Sharjah. It is a major container port of UAE handling in excess of 3 million TEUs and is a port of call to the largest container ships presently plying the seas. 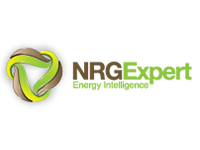 Knowledgeable and well trained customer oriented staff ensure true customer satisfaction. Make Sharjah Ports your port of call. Situated in the Sultanate of Oman, midway between Dubai and Muscat, SOHAR Port and Freezone is a powerful combination of the vision of the government of Oman and the expertise of Port of Rotterdam. With current investments of US$25 billion, it is one of the world’s fastest growing port and free zone developments. SOHAR lies at the centre of global trade routes between Europe and Asia and its prime location avoids the additional costs of passing through the Strait of Hormuz. Ideal for growing businesses, SOHAR provides unequalled access to the fast diversifying Gulf States and Iran. New and uncongested highways link SOHAR directly to Saudi Arabia and the United Arab Emirates; furthermore, SOHAR boasts a new airport with a planned capacity of 50 million tons of cargo a year. Equipped with deep-water jetties capable of handling the world’s largest ships, SOHAR has leading global partners that operate its container, dry bulk, liquid and gas terminals including Hutchison Whampoa, C. Steinweg Oman, Oiltanking Odfjell and Svitzer.